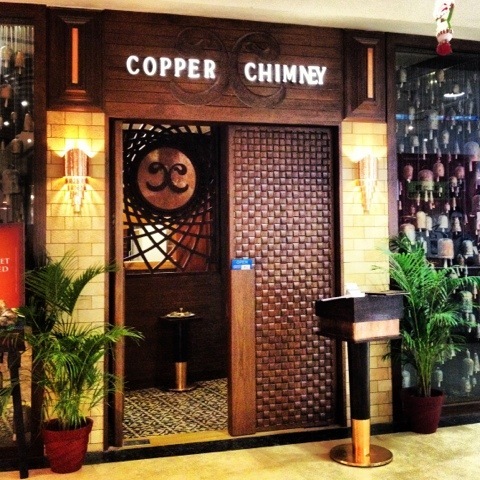 Look Out For The Copper Chimney In Bangalore! If you are a Singaporean fed with all sorts of horror stories on suffering from stomach upsets when dining out in India, you better be on the look out for a distinctive Copper Chimney in the city skyline. I was just pulling a fast one on the part about spotting Copper Chimneys on roof tops. 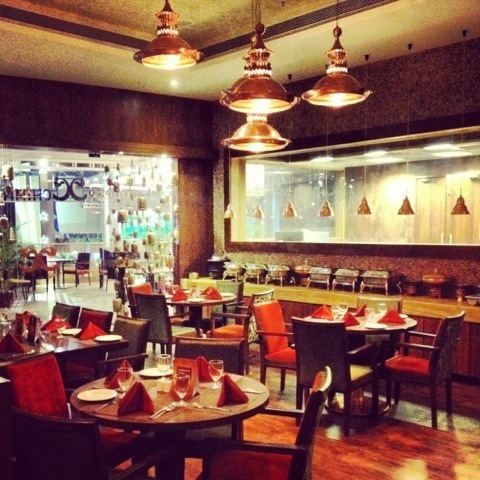 Copper Chimney is a tried and tested (by me & my colleague) Mumbai based chain restaurant that won’t give you the runs. The interior was simply gorgeous. 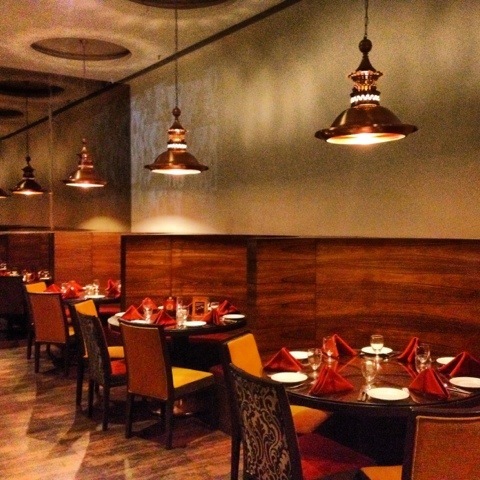 Enjoy feeling like an Indian royalty when you dine in. The place was surprisingly empty when we were there at about 8pm. I suppose Indians usually take early dinners. 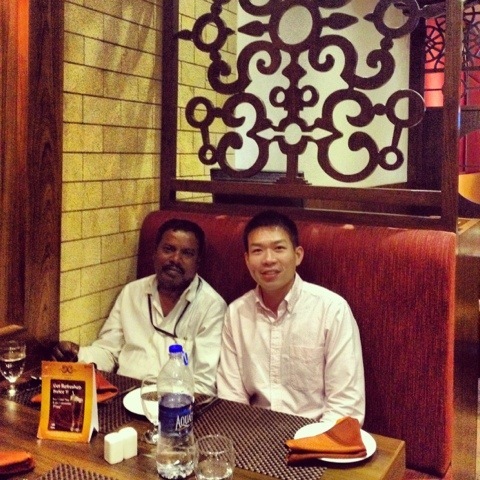 We quickly got ourselves settled in and asked our driver to join us for dinner. He has been really patient with us bringing around Bangalore and waiting for us in his vehicle the entire day. It’s the least we could do to show our appreciation. 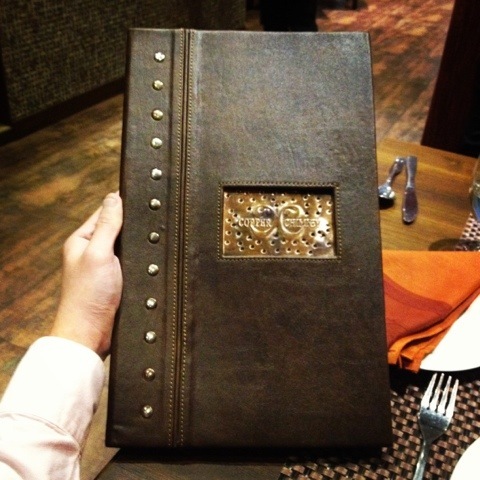 Loved the addition of metal studs and a piece of seemingly copper like brand plate on the menu. 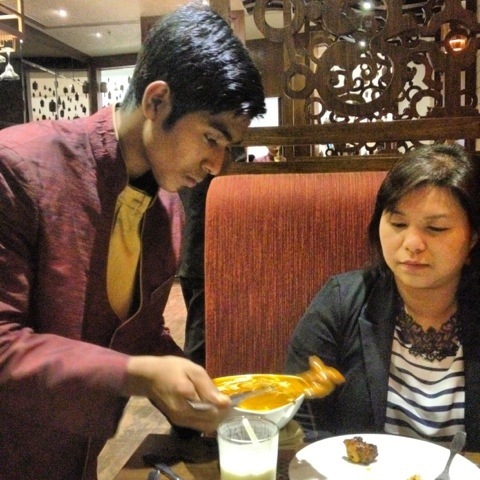 The restaurant serves Northwest Frontier and Punjabi cuisine at prices that are pretty comfortable for Singaporean’s pocket. It is really famous for its Dum Briyani but I already had that last night so will be giving it a miss. From our seats, we have a clear view of the bar. 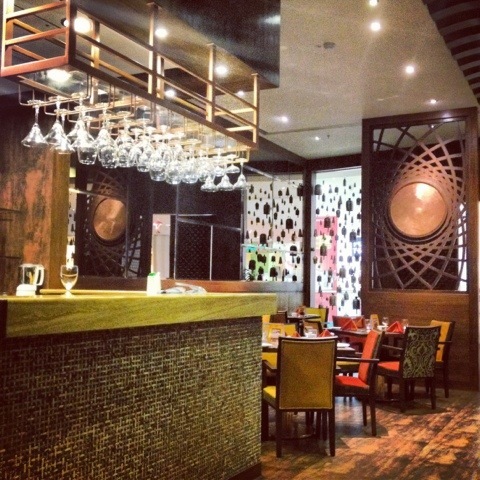 The bar menu was extensive and they serve exotic fruit based martinis such as Appletini, Mangotini and Melontini. 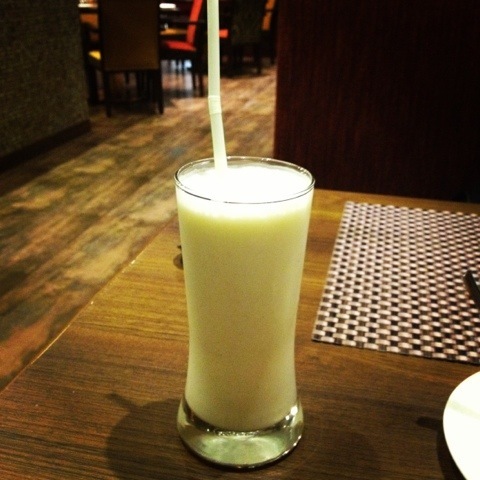 But I will just stick to my modest Lassi (INR$100). SGD$1 is around INR$43 so it worked out to be about S$2.30 for the drink. 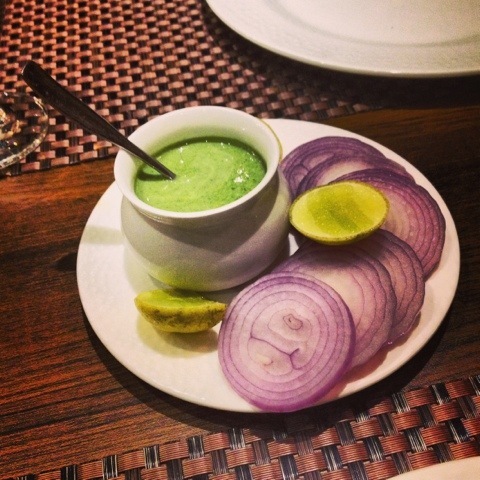 The first item served was the Green Chutney also known as Hari Chutney. It is a zesty Indian condiment that is best used as a condiment with grilled and fried food but may also be used a spread or dip too with Naan. The condiment is made from a blend of coriander, mint, chillies and lemon juice together with a variety of other different spices that differs across regions in India. Although I like the taste, it tends to overpower the main. So go easy on the dips! I was ecstatic with the arrival of the Murg Makhani (INR$370)! 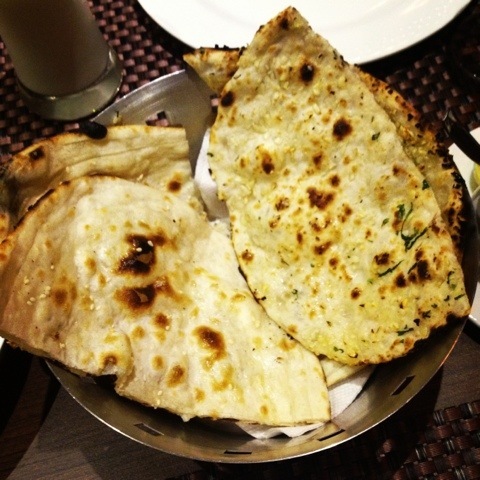 Its a Must Order whenever I visit Indian restaurants in Singapore and I get to taste the original version in India! 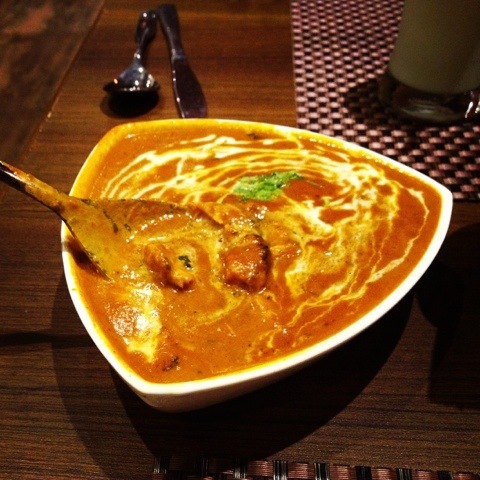 Boneless pieces of tandoori chicken are simmered in a rich tomato butter flavoured gravy accented with dry fenugreek. Omg… this is so good…. The restaurant staff was really attentive to our every needs and wanted to serve portion the dishes and serve us individually. We felt really pampered but we soon got him to stop. We are not used to get served for everything and we do value our own privacy space during meals as well. 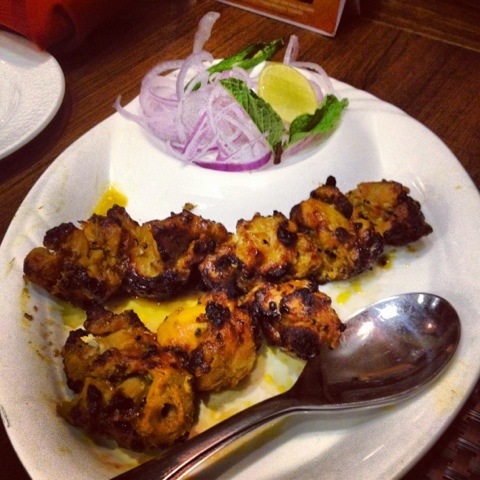 The final dish was Achari Chicken Tikka (INR$305) – Grilled chicken marinated in pickling spices and mustard extract. It looked like a bigger version of chicken satay. The exterior was crunchy and flavourful. The interior however was a little dry but that’s when the green chutney comes into the picture! May be its deliberate as a gentle reminder to have it with the green sauce. After we finish our meal, we were served traditional post meal ‘sweets’ to help clear off the intense flavours lingering in our mouth. They were really generous with their sweets. My colleague actually ‘tabao’ a small box home for her friend. 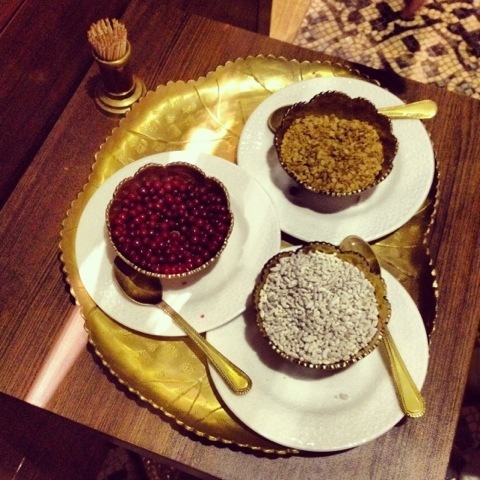 Overall, it was a wonderful dining experience and the dishes were fantastic. So throw away all those negative ‘warnings’ from thoughtful friends and relatives. 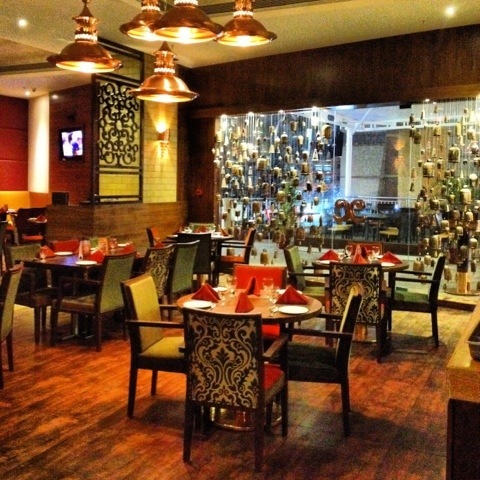 There are great places in India that works fine for your stomach, you just have to keep your eyes on Copper Chimneys. 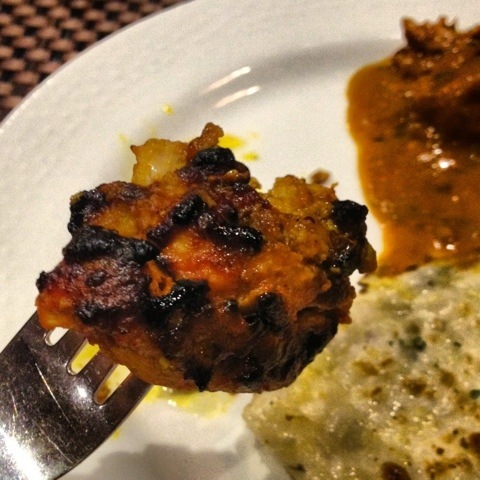 looks good, never been to India. Thanks for recommendation. It looks so tasty. Yammy. I want some.